3/8" cut pile carpet with heavy duty vinyl backing. 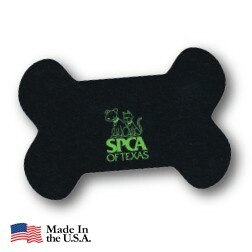 Absorbs moisture and stain resistant. 1 to 3 spot color imprint and PMS color matching available. Minimum 1" type height and 1/4" line thickness. Made in USA. 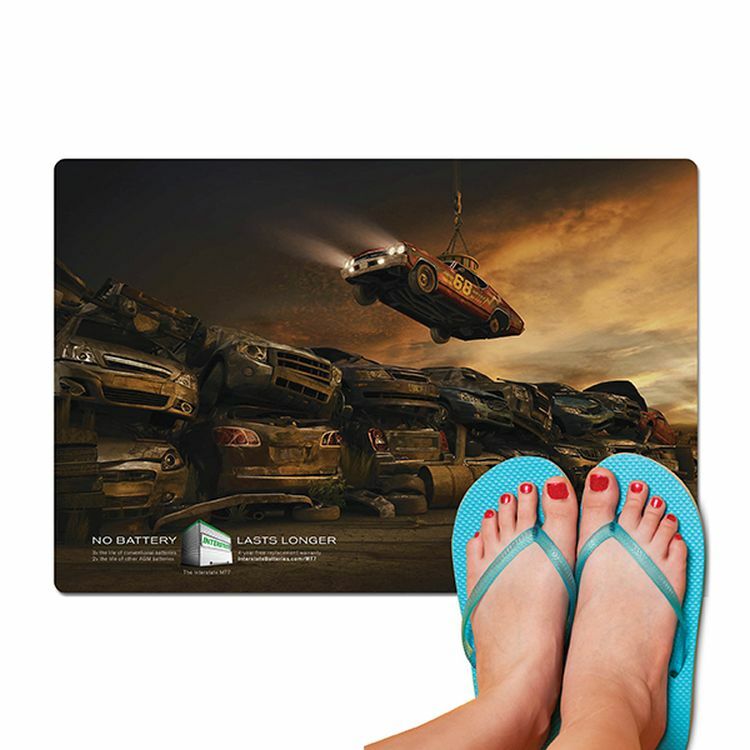 Olefin mat is popular due to its favorable pricing and crisp flocked images that is permanently embedded into the mat's surface creating strong visual effects with a slightly raised imprint. Runners and custom sizes available. 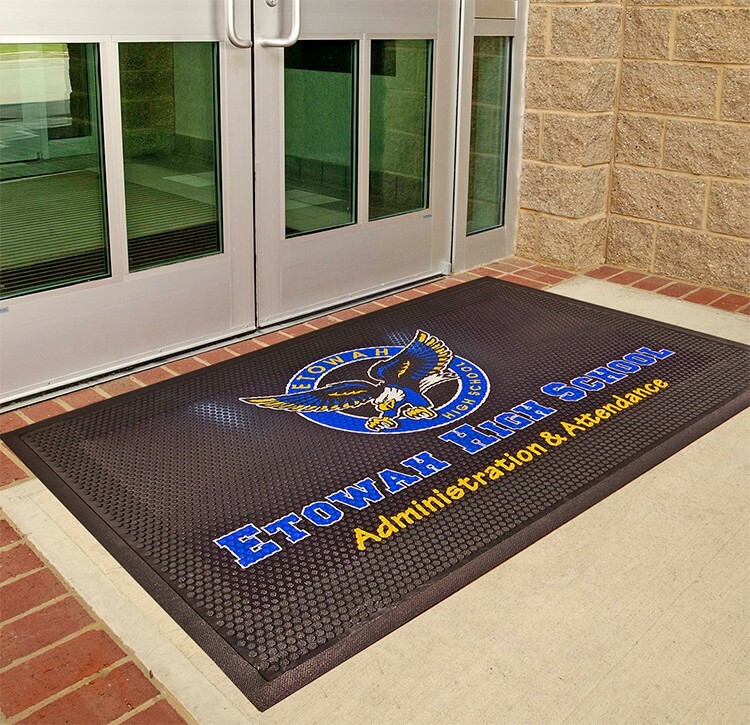 Smooth ribbed polypropylene floor mat with heavy duty vinyl backing. Close-knit needlepunch fiber, constructed in parallel rows with heavy duty vinyl backing. 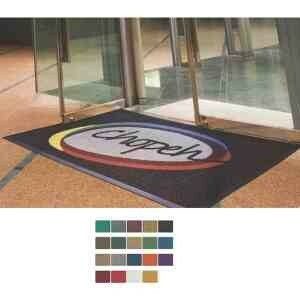 Designed for indoor use with moderate traffic, covered entrances, indoor, business or retail store. 1 to 3 spot color imprint and PMS color matching available. Minimum 3/4" type height and 1/4" line thickness. 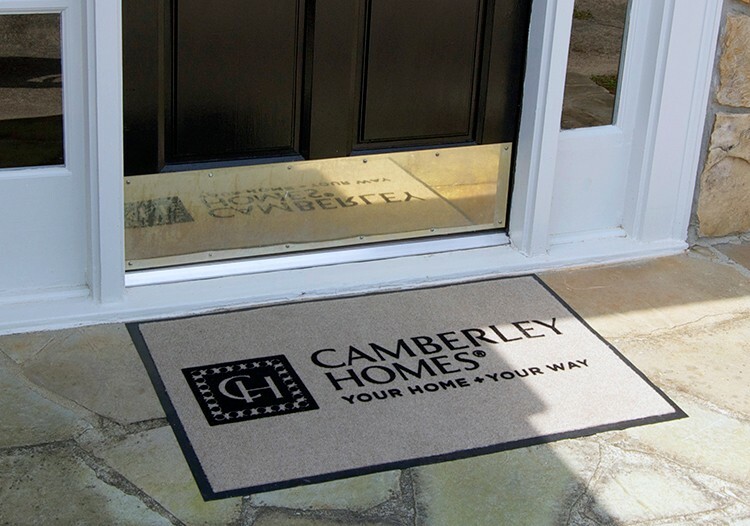 Camelot's smooth, ribbed polypropylene surface makes this ideal for flocking or screen printing. Long-wearing and attractive. Waterhog inlay mats are created using a unique inlay process involving hand-cutting different pieces of material that are pieced together like a puzzle. The mat is then molded to the solid rubber backing. Ideal for indoor and outdoor applications. Perfect for anyplace with heavy foot traffic. 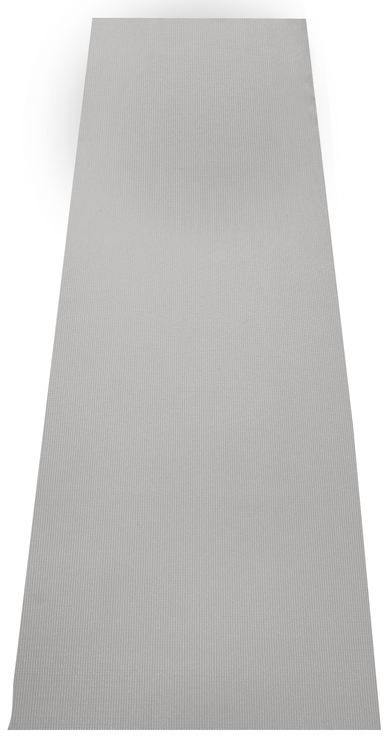 Heavy duty rubber backing that is guaranteed to lay flat and will not crack or curl. 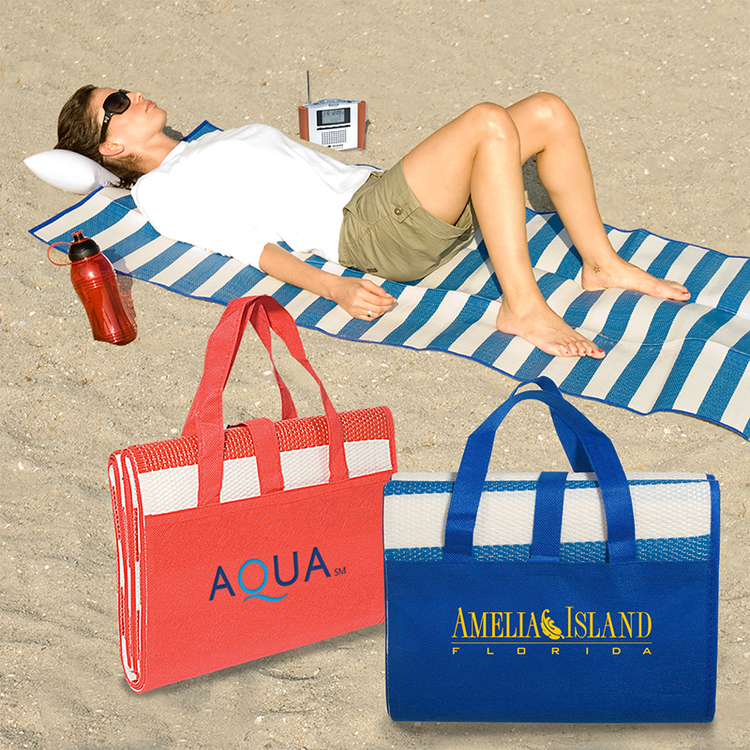 100% UV polypropylene fabric will not fade in sun and holds up to 1.5 gallons of water/sq. yard. Cleaning is easy! 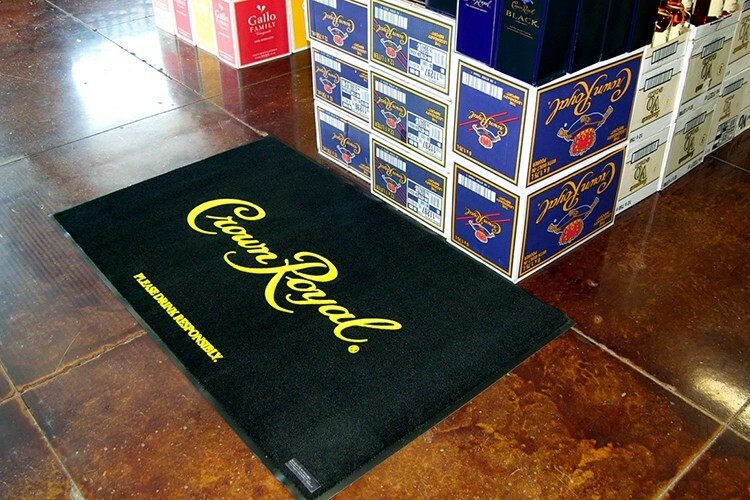 Scraper door mat made from 100% Nitrile rubber with digital 4-color process imprint. The mat's cleated surface makes it slip-resistant and great for removing tough dirt, snow and water from shoes. 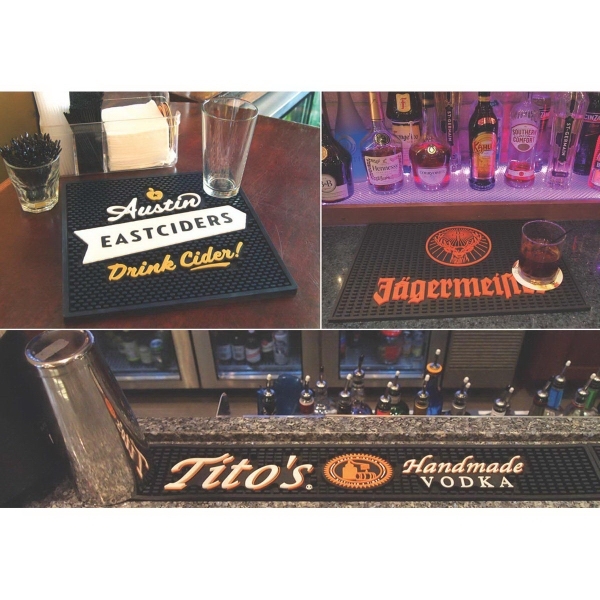 The imprint is produced by molding a digitally printed thermoplastic material onto the surface. 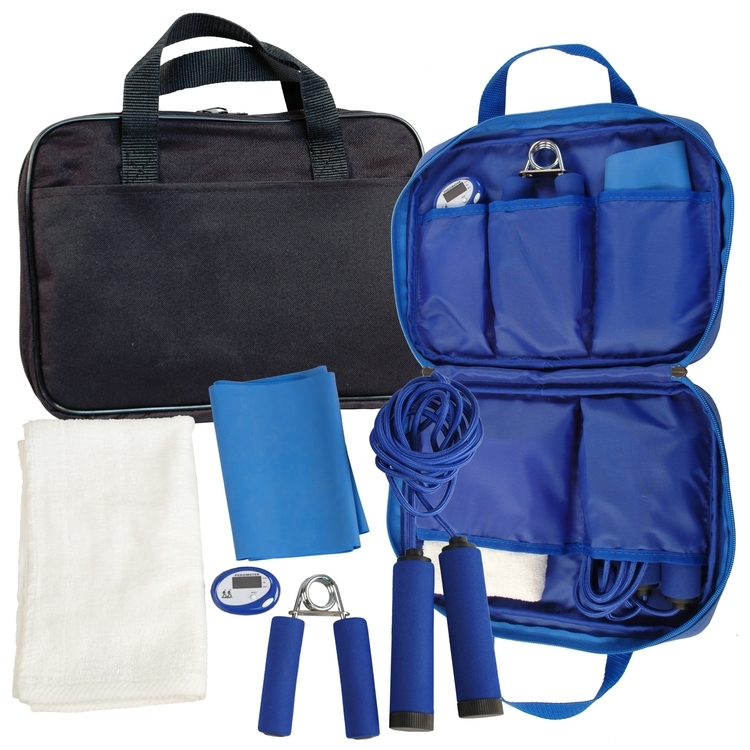 Extremely durable, easy to clean, and UV stable. Made in the USA. 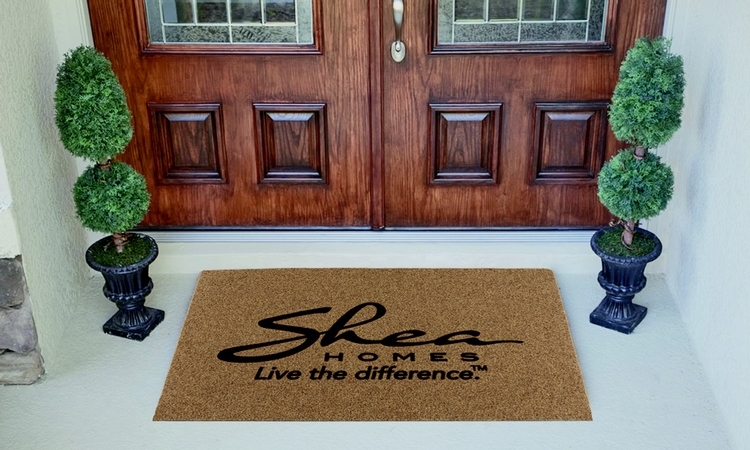 Traditional natural fiber Cocoa Brush Matting with flocked imprint. Designed for covered outdoor/indoor moderate traffic such as small business. Superior brushing action for areas where there is dirt, debris and moisture. 1/2" natural coconut husk fiber construction with vinyl backing. Minimum 2" type height and 3/8" line thickness. Custom sizes available. 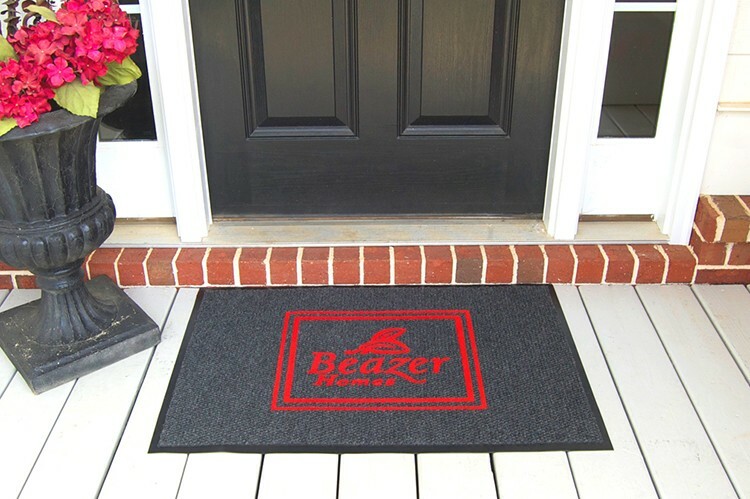 Made in the U.S.A.
Flocked Berber Polypropylene indoor/outdoor mat. Multi-directional Berber pattern mat. 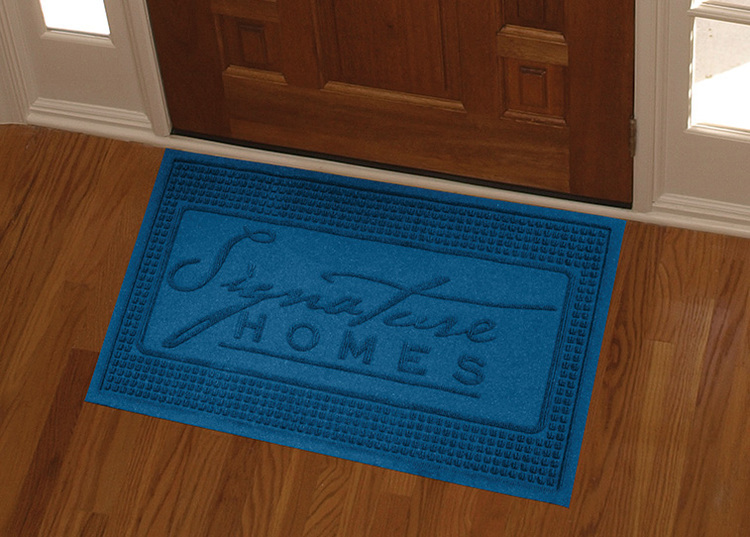 Durable, densely needle-punched polypropylene carpet. Heavy duty vinyl backing. Berber pattern surface traps dirt and debris. Designed for indoor or covered outdoor use. Runners and custom sizes available. Minimum 1" type height and 1/4" line thickness. Made in the U.S.A.  Perfect for home builders, real estate companies, apartment communities and large corporate accounts. 100% UV polypropylene fabric will not fade in the sun and holds up to 1-1/2 gallons of water per square yard. 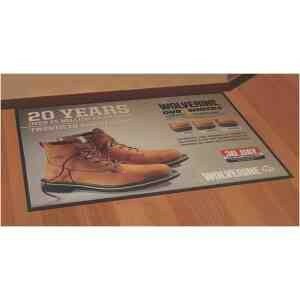 Heavy duty rubber backing guaranteed to lay flat and will not crack or curl. Cleaning is easy! Simply vacuum, steam clean, extraction clean or hose off. 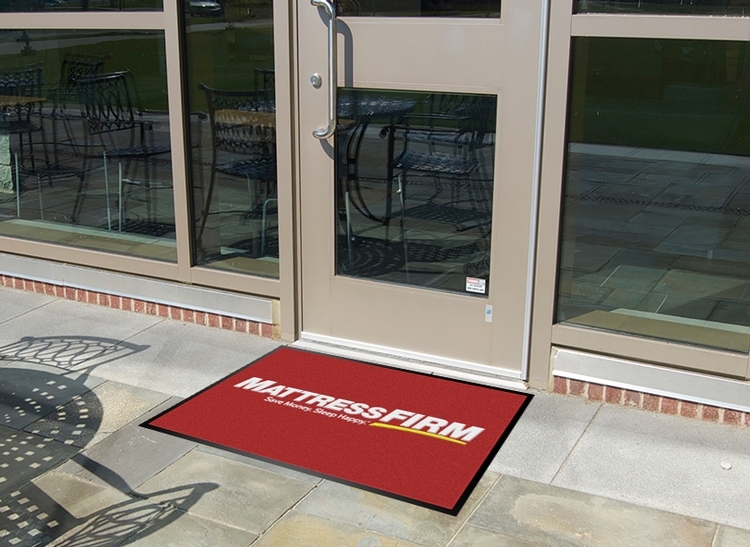 Mats are certified "slip resistant" by the National Floor Safety Institute. 3/8" cut pile carpet with heavy duty vinyl backing. 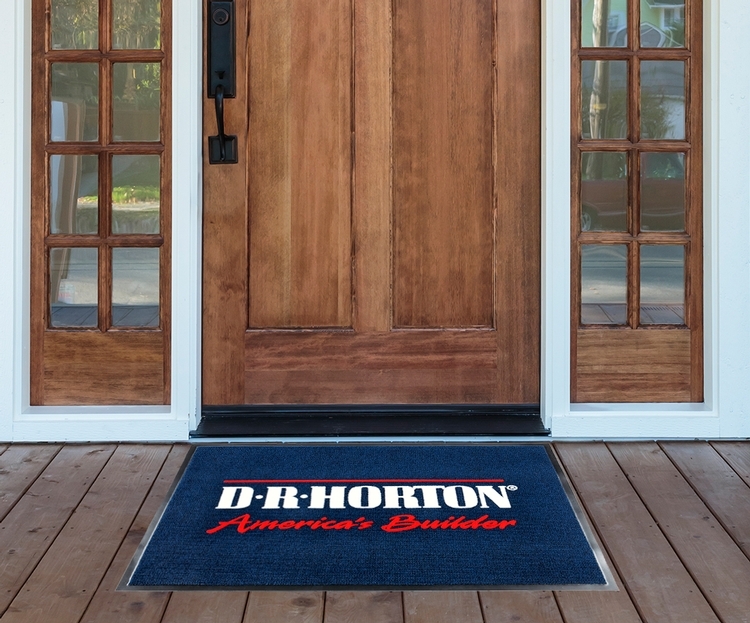 Absorbs moisture and stain resistant. 1 to 3 spot color imprint and pms color matching available. Minimum 3/4" type height and 1/4" line thickness. Made in USA. 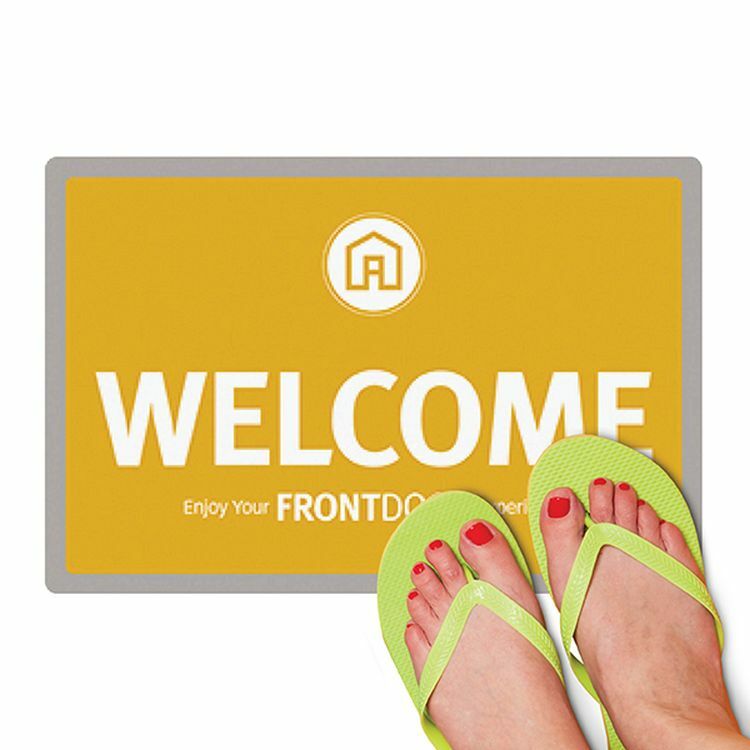 Olefin mat is popular due to its favorable pricing and crisp flocked images that is permanently embedded into the mat's surface creating strong visual effects with a slightly raised imprint. Runners and custom sizes available. 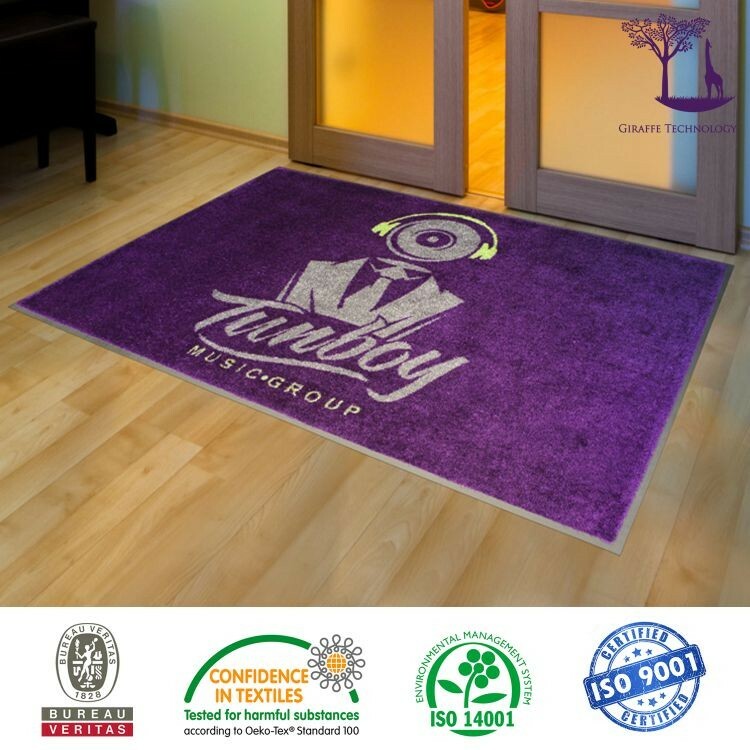 Ideal For Schools, Malls, Retail Stores, Factories, Hotels, Construction Sites, Restaurants, Banks, Sports Arenas, Convenience Stores, Automobile Dealerships, Apartment Communities, Office Building And More! 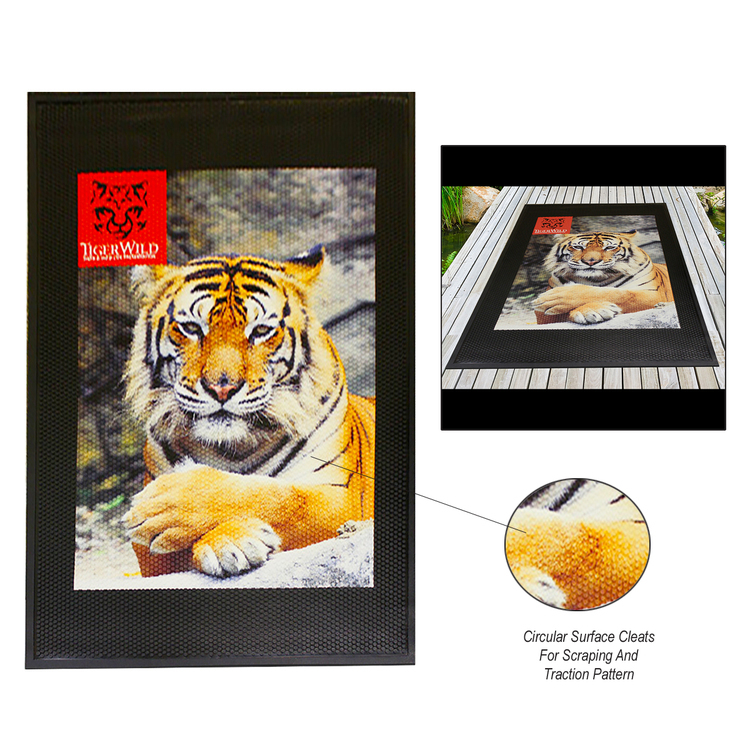 Put your custom image on a non-woven printable carpet. 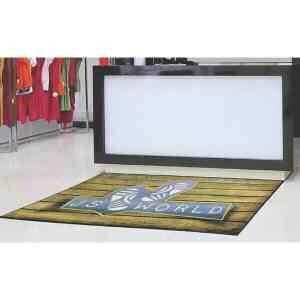 We can achieve amazing clarity of your image on this smooth, flat, low pile carpet. 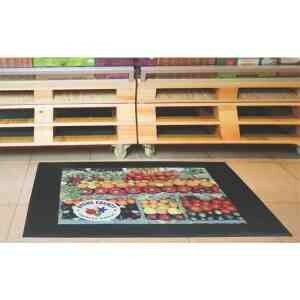 This Floor Mat is 1.8 mm thick and has a rubberized no-slip bottom for wet surfaces. Multiple sizes are available to fit your needs. 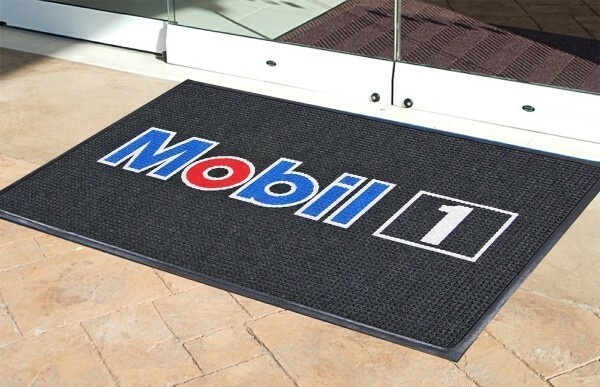 Turn your custom designs, company logos, sales and promotions, or special event graphics into an eye-catching rug. Custom carpets are a creative and functional idea for corporate lobbies, waiting areas, and trade show booth floor graphics. 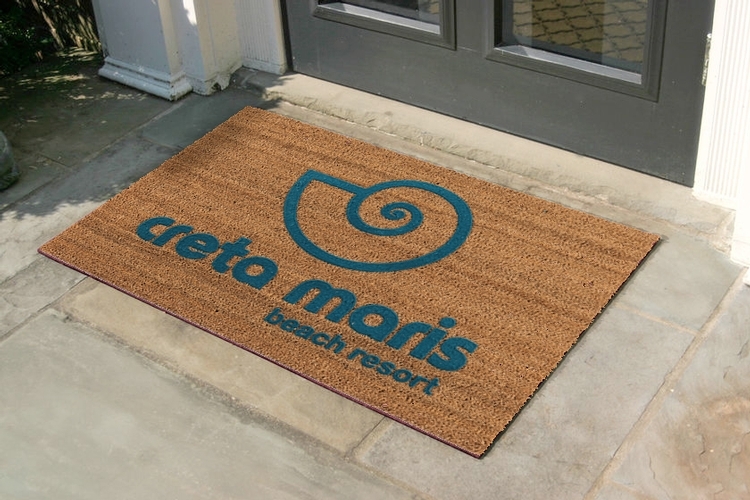 Custom Printed Rugs are what you have always wanted; your design replicated in a carpet that can be made into custom shapes, custom sizes or for wall-to-wall applications. It is just the thing for large scale applications such as: promotional showrooms, casinos, hotels, and theatres. 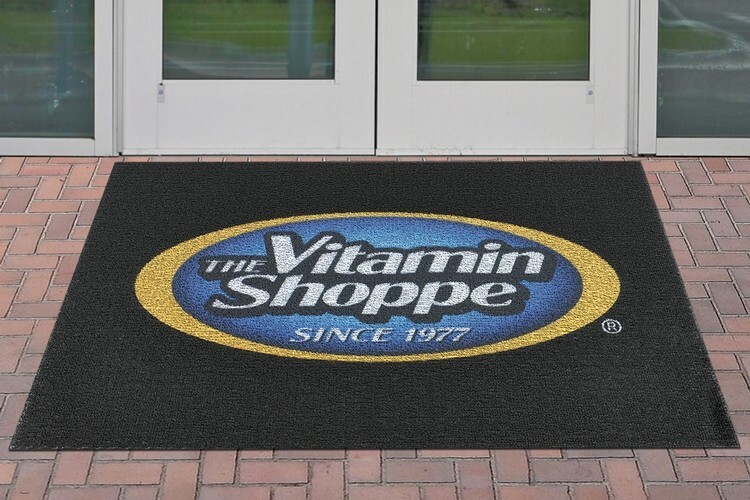 The Custom Printed Carpet process allows for large scale versions of corporate logos or multiple expressions of the same logo throughout the carpeting for general application. 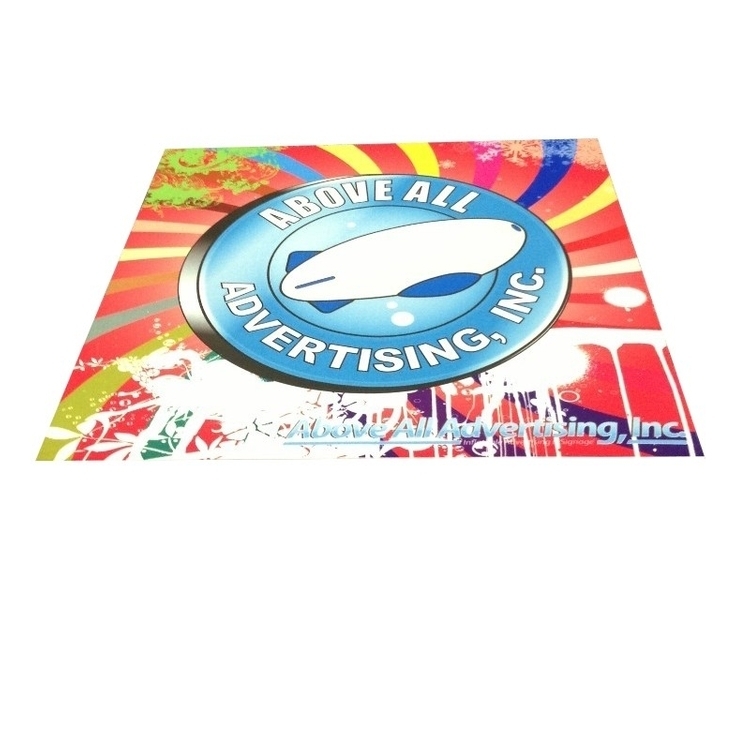 We offer beautiful full color printing onto a variety flooring and floor graphic products for trade shows, events, retail, installations and more.